Anna Leonowens, the heroine of Rodgers and Hammerstein’s classic musical The King and I is technically British. 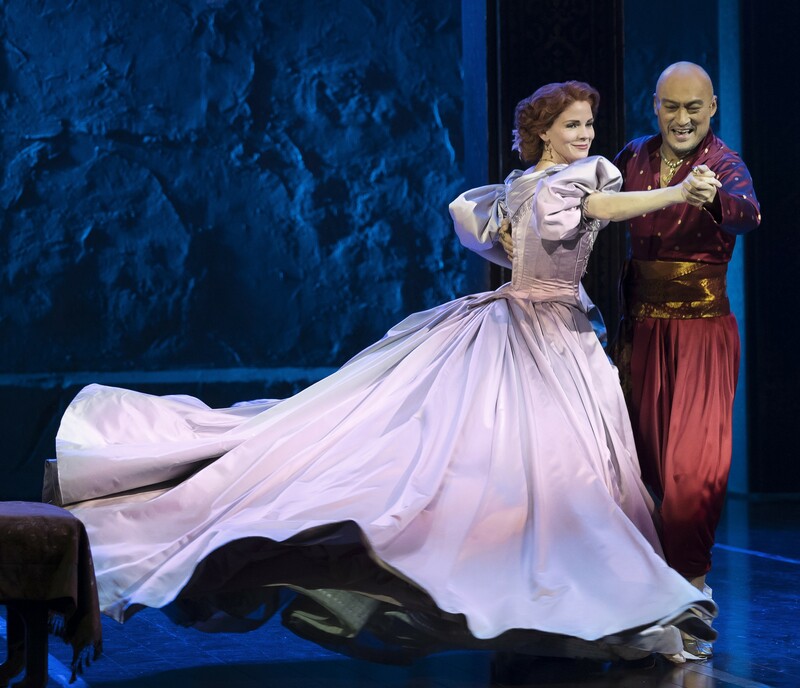 But in director Bartlett Sher’s magnificent new revival at Lincoln Center Theater’s Vivian Beaumont Theater, Kelli O’Hara transforms Anna into an avatar for All-American pluck and gumption. She’s a widowed single mother in the 1860s who accepts a job teaching the many children of the King of Siam and emerges as a royal adviser on the challenges of Western modernity. But as played by O’Hara, Anna emerges as a hybrid of Susan B. Anthony, Hillary Clinton, and Malala Yousafzai — in an overflowing hoop skirt. 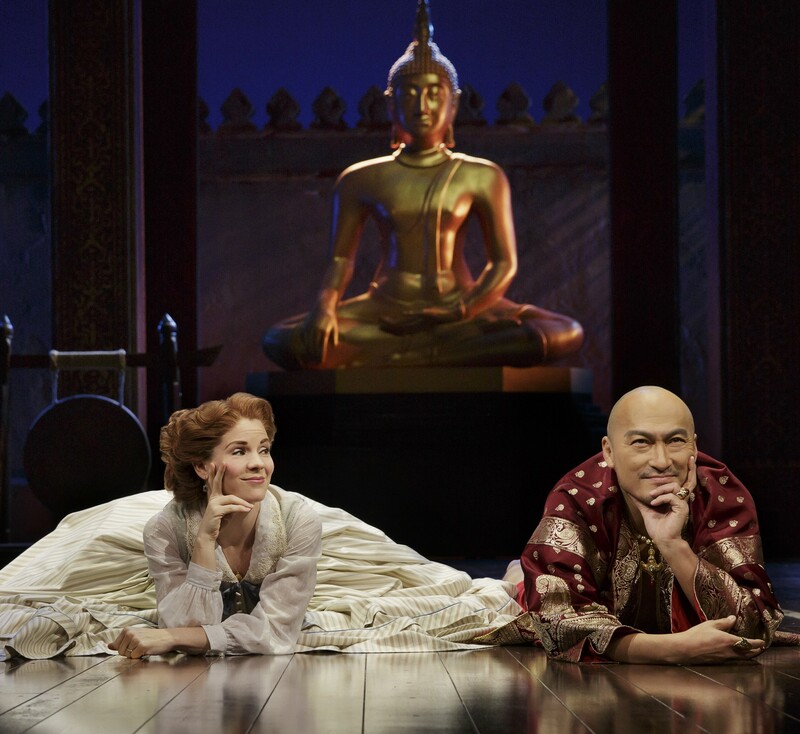 Thematically and theatrically, Sher’s King and I is a kind of sequel to his equally magisterial 2008 revival of Rodgers and Hammerstein’s South Pacific. He’s assembled the same impressive design team: Michael Yeargan on sets, Catherine Zuber on costumes, Donald Holder on lighting, Scott Lehrer on sound. And he’s repeated the eye-popping opening effect of showing off his plus-size orchestra in the pit of the Beaumont’s half-circle arena, and then having the stage itself (and the boat carrying Anna and her young son to Siam) swoop into the thrust area as the orchestra disappears from view. Sher has also reteamed with O’Hara, who gave such memorable life to nurse Nellie Forbush in South Pacific and has only grown stronger since then in both voice and characterization. Her Anna is both forthright and comfortable in her skin, even when she is uncertain about her feelings or her course of action in a particular moment. Is there a better singing actress working on the American stage? Ken Watanabe, in his American stage debut, plays up the exoticism and foreignness of the King — perhaps this is inevitable since he’s not a native English speaker and his dialogue can occasionally skirt the edges of comprehensibility. He’s also a better dancer than a singer — though the same could be said of Yul Brynner, who played the role for decades. But there’s a way in which Watanabe’s very discomfort works here, heightening the King’s sense of alienation from the onslaught of progress as embodied by Anna and the very real threat of a foreign takeover. 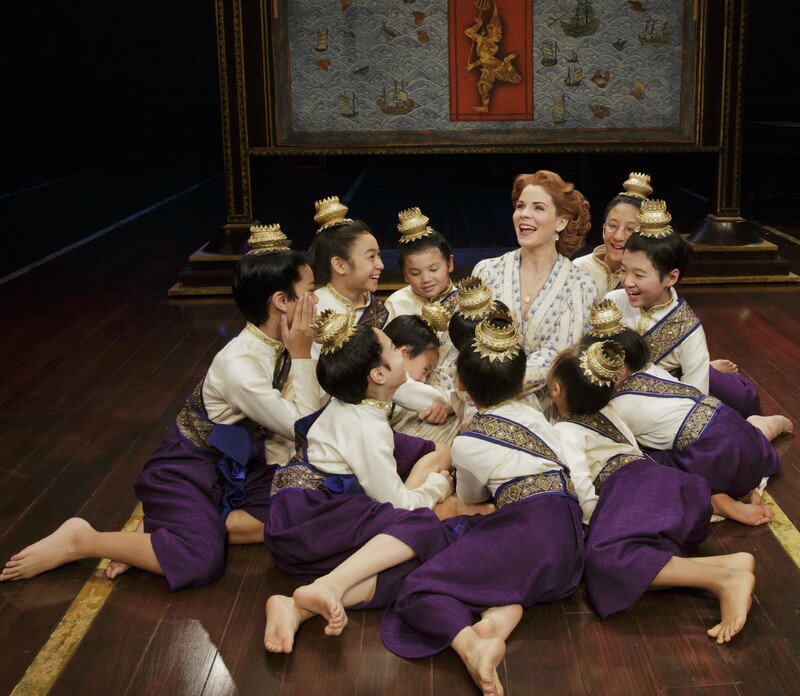 Ruthie Ann Miller (Here Lies Love) brings a splendid voice and a wonderful knowingness to Lady Thiang, the King’s trusted lead wife Lady Thiang. And as Princess Tuptim and her forbidden young lover, Ashley Park and Conrad Ricamora (How to Get Away With Murder) sing beautifully and spark a genuine onstage connection.